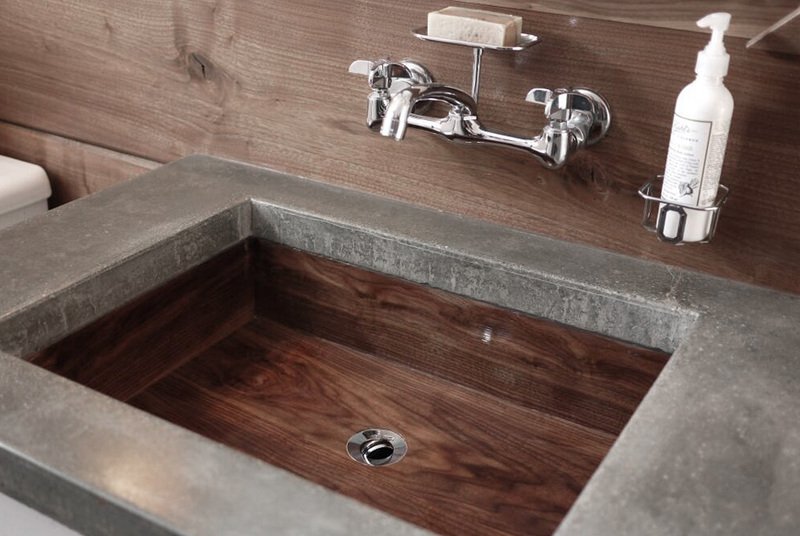 CNC routed solid walnut sink. Finished like a boat with epoxy and marine varnish. Featured in This Old House Magazine.